I love frittatas, and make them somewhat regularly, but my regular 8-egg recipe is often more than I want for the time it would take me to eat all of it. I am lucky enough to love leftovers so that is not usually an issue for me; however, when I want some frittata for Sunday breakfast, I don't always want it to carry over into the work week. The solution is certainly one of those "duh" moments. 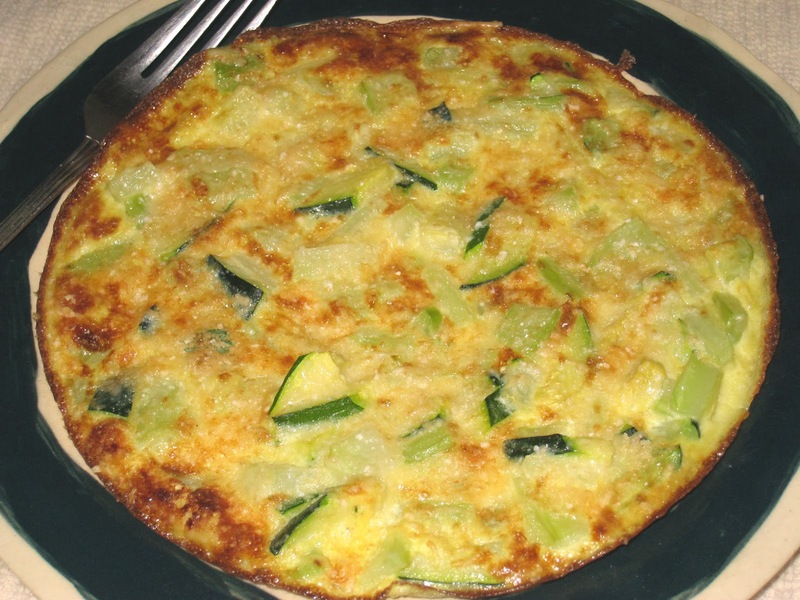 There is no reason that the recipe cannot be broken down into individual, two-egg servings. And that is what I did here. I am also still trying to incorporate more vegetables into my diet, and as a means of accomplishing that I have taken to having some pre-blanched vegetables on hand at all times to add to dishes, or to simply eat out of hand so I have healthier snack options. So far that is working out pretty well, and it was especially helpful over the weekend when I had the thought of making a quick frittata and realized I had broccoli and zucchini already prepped in the refrigerator. From there, it was an incredibly simple process to pare down my regular frittata recipe to a single serving. It could be doubled for two, or if you wanted to be a little bit fancy, you could simply make two of them for a cozy breakfast for two. You could also prep a lot of different vegetable options and have yourself a frittata party. It's all good. Crack the eggs into a medium bowl and add the thyme, salt and pepper and whisk together. Add the zucchini and broccoli and set aside. Melt the butter in a small skillet. When it is foamy and sizzling, pour in the egg mixture, making sure to distribute the vegetables evenly. Let sit for 30 seconds, then lower the heat and cook until the eggs have set on the bottom, about 15 minutes. Remove the skillet from the heat and sprinkle with the parmesan cheese. Place the skillet under the broiler (wrap the handle in aluminum foil if it is plastic) until the cheese has melted and is golden, about 2 minutes. Can be served immediately, or at room temperature.